The spring shopping season got off to a weak start in March. 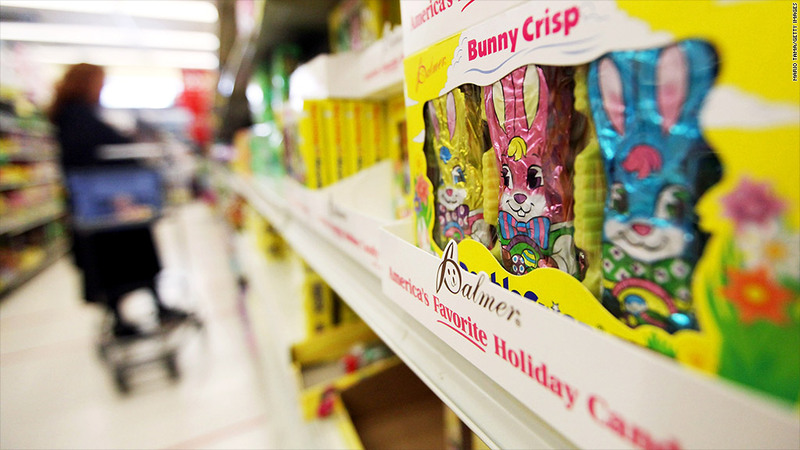 The Easter Bunny brought a letdown to retailers this year, as sales slumped in March, marking a weak start to the spring shopping season. Retail sales fell 0.4% in March, according to a report from the Census Bureau. Economists were expecting sales to be unchanged from February. The decline was partly due to lower gas prices. But Americans also spent less on electronics and appliances, motor vehicles and goods at department stores. It also coincides with cold weather and a lackluster job market. Hiring slowed and 500,000 people dropped out of the labor force in March, according to a separate report released by the Labor Department last week. Retailers alone cut 24,000 jobs in March, even after the report was adjusted for seasonal trends. Jennifer Lee, senior economist at BMO Capital Markets, said consumers may also have been holding back due to fears about the government's budget cuts. All of that said, the weak retail sales report comes after stronger than expected consumer spending earlier this year. Looking at January, February and March combined shows sales were up 3.7% from the same period a year ago, even as Americans took home smaller paychecks after the payroll tax cut expired. "Early on, there were indications that households were weathering the storm and pushing forward unfazed with their spending habits. That changed in March," said Jim Baird, partner and chief investment officer for Plante Moran Financial Advisors. The question now is whether March was a blip or the start of a new trend.